NBC News Digital has unveiled the enhanced “NBC Nightly News with Brian Williams” app for iOS and Android mobile devices. The refreshed app now features a video centric experience, offering viewers a new way to engage with “Nightly News” content. 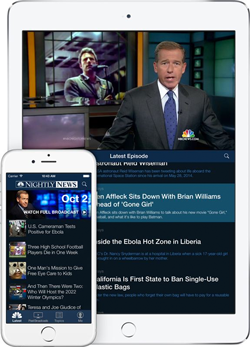 Optimized for performance and speed, the “Nightly News” app is built with a faster interface to deliver full broadcasts and individual video segments to digital viewers 24/7, according to a release issued by the network. In addition to more video, the enhanced app also includes a sleek navigation structure with bottom tabs, allowing users to quickly search for “Nightly News” content by topic or past broadcasts. Watch the latest “Nightly News” broadcasts. View individual “Nightly News” segments and exclusive online videos. 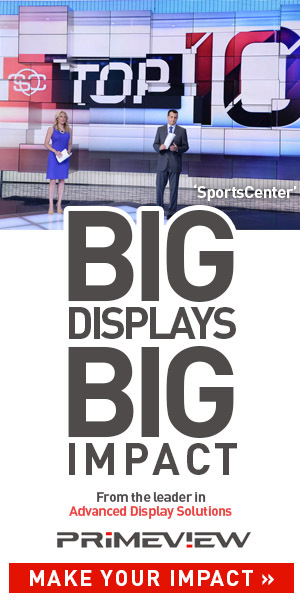 Email favorite segments or stories and share with friends via Twitter and Facebook. “The enhanced “Nightly News” app provides our viewers with even more opportunities to connect with Brian Williams and our trusted team of correspondents around the globe,” said Julian March, senior vice president of editorial and innovation for NBC News in the statement. The “NBC Nightly News with Brian Williams” app is now available to download for free from Apple’s App Store, Google Play and the Amazon App Store.